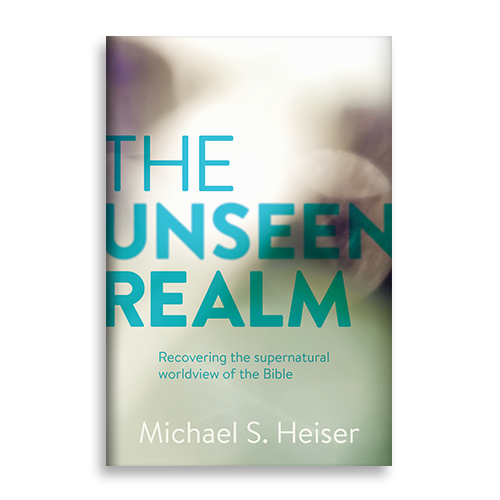 As I noted in the introductory chapters of The Unseen Realm, I view the book as a starting point. I have plenty of material for a follow-up book. Lord willing I will be able to produce that at some point. Aside from developing some topics and trajectories in more detail, there are many new items to cover. As with the content for the first book, each one of these topics has solid, often copious, peer-reviewed scholarship behind it. Here’s the list in no particular order. I do not take the traditional view of this verse. It never mentions guilt, only that all humans sin. No human can be saved apart from the work of Christ (in any degree) because of our own sin, not because of someone else’s. Since Rom 1:3 has Jesus being a descendant of Adam “according to the flesh,” and he is a direct descendant of Adam, the traditional view of Romans 5:12, that all are guilty because of Adam (as opposed to their own sin) creates a significant theological problem for Jesus as a direct lineal descendant of Adam “according to the flesh.” The virgin birth doesn’t solve this, because Mary is fully human and descended from Adam like everyone else, and because if Jesus is a son of David “according to the flesh” he wasn’t just inserted into Mary’s womb with the effect that he was biologically unrelated to either Joseph or Mary. This quandary was why Roman Catholicism invented the doctrine of Mary’s sinlessness. I reject that idea as unbiblical. I believe Jesus is insulated from this problem by a better (text-driven) view of Romans 5:12. There is a better way to interpret Rom. 5:12 for what it specifically says — not for what tradition has read into it — a way that is also consistent with ANE backgrounding to paradise stories. Note that my view isn’t unique to me in Christian tradition. But this is an item for a future book. Gen 15:5 – the idea that this is a qualitative promise as well as a quantitative one (i.e., believers will be made as the stars – glorified, exalted to divine status; gods were spoken of in astral language all the time in the ANE, so this is a motif associated with humans becoming divine and divine council members). There’s no OT messianic profile element that suggests messiah will cast out demons — so where does the idea come from? Why did it make sense to NT people that the messiah would have this power? In regard to the burial of Gog and his hordes, there is a conceptual and geographical backdrop to what is described in Ezek 39:11, 15 that is quite consistent with the lake of fire / hell imagery of Rev 20 — diverting our attention away from earth-bound literalistic interpretation of the description in Ezekiel. In Ezek 39:11, 15 Gog and his hordes are buried in “the Valley of the Travelers, east of the sea, also called the valley of Hamon-gog.” Viewing the passage this way makes the connection to Rev 20 pretty obvious. In Rev 20 Satan and his hordes are cast into the lake of fire — hell, the eschatological underworld, now void of believers via the resurrection at the return of Christ. So in Ezek 39, Gog, the symbol of cosmic darkness, and all his hordes, go down into the valley of the oberim, the ones who have passed into the Underworld before them, the abode of the Rephaim. Scholars have noted the numbers and dimensions of the temple are consistently multiples of 25 (half a jubilee) and fifty (a jubilee). (יָם מוּצָק)]. Designations for a spectacular bronze appurtenance that is said to have stood in the courtyard of Solomon’s temple. It is described in the temple text of 1 Kings (1 Kgs 7:23–26) and in the parallel account in Chronicles (2 Chr 4:2–5).